Slimvance Thermogenic vs. Leanmode are both on a quest to help you incinerate fat, kickstart your metabolic response, and achieve success in your weight loss and shredding goals. However, both of these supplements take different ways to get there. Slimvance Thermogenic is packed with a stimulant-based, fat-burning blend whereas Leanmode is stim-free. Are both of these fat-burning supplements worth the buy? Or is one better than the other? 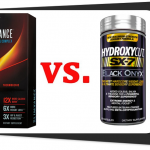 Let’s find out in this Slimvance Thermogenic vs. Leanmode review. Slimvance Thermogenic proudly takes the route of stimulant-focused fat burner starring caffeine and Capsimax™ (cheyenne pepper extract) at the foundation. From here, it relies on Garcinia cambogia and a proprietary blend which scientific studies supposedly back up. Science is in the Formula: Speaking of scientific backing…Body Dynamix, the company behind Slimvance Thermogenic, put its product through a clinical trial with the results looking very good. The end result: Slimvance Thermogenic helps support fat loss. 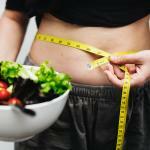 Blast Away Belly Fat: Slimvance Thermogenic prides itself on tackling the most common issue of weight gain: belly fat. That study mentioned above showed that subjects lost three times the amount of fat around their core when compared to those who did not take the supplement. Simple and Strong: One of the refreshing things about Slimvance Thermogenic is that there isn’t a laundry list of underdosed ingredients. It has a simple yet strong approach to fat-burning supplements. Leadmode is a stim-free fat burner, meaning no caffeine. Don’t let a caffeine-free formula turn you off; this supplement packs a thermogenic punch. Stim-Free: A thermogenic or fat-burning supplement doesn’t need tons of caffeine, yohimbine (individuals with blood pressure issues should take the necessary precautions before taking yohimbine), or ephedra to see results. Leanmode wants to demonstrate that you can take a stim-free product, achieve incredible results, and not wreck your adrenal system. Led by Green Coffee Bean: Studies show that green coffee bean is a serious way to achieve weight loss results without the jitters from stimulants like caffeine. Subjects in the study we mentioned lost an average of 10 pounds in a two-month period. No Guesswork: Unlike Slimvance Thermogenic, Leanmode has nothing to hide. You’re getting a five-hit combo of all scientifically-backed ingredients in this short-and-sweet supplement. How are Slimvance Thermogenic and Leanmode formulas similar? Sure, one’s pro-stim and the other one isn’t, but they have to have something in common, right? Although both of these supplements want to help you torch fat, they only have one ingredient in common. Garcinia cambogia is a well-established weight loss support ingredient which is effective when one consumes it in conjunction with a well-structured exercise and diet program. 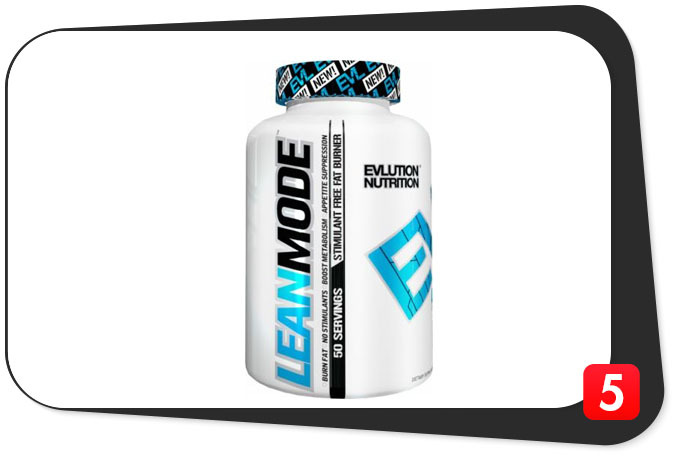 Leanmode has the upper hand here, delivering five times more than Slimvance Thermogenic. In most studies, you’ll see a dosage of 1,000 to 1,500 mg for Garcinia cambogia. If you’re following the Leanmode instructions, it recommends one or two servings per day, which ensures you’re consuming between 500 mg and 1,000 mg. This much should help you tap your fat-burning potential. You won’t see much of anything with Slimvance Thermogenic’s dosage of Garcinia cambogia. How are Slimvance Thermogenic and Leanmode formulas different? Although both supplements provide a short list of ingredients, their formulas couldn’t be any more different. Let’s review what makes these supplements unique in their own ways and against one another. There are three key ingredients found in Slimvance Thermogenic that you won’t find in Leanmode. Curcuma longa Root: Don’t let the fancy name fool you. This is turmeric, an herbal extract which is effective in reducing inflammation and supporting an overall healthy weight. Caffeine Anhydrous: Caffeine does more than give a kick to your coffee, it also helps boost your body’s metabolic response. Capsimax®: Capsimax™, a by-product of red chilli peppers, is the trademark name of a scientifically-proven ingredient which helps increase fat oxidation. Leanmode contains a trifecta of powerful fat burners that you won’t find in Slimvance Thermogenic. Green Coffee Bean: One of five proven super thermogenics, green coffee bean helps support weight management by improving metabolism of glucose and blocking fat storage. Acetyl L-Carnitine: This super absorbable and bioavailable form of l-carnitine is an excellent way of promoting usage of stored fat as fuel, thereby increasing fat burning. Green Tea Leaf Extract: There’s a reason that green tea has been a health drink for thousands of years: it’s packed with healthy antioxidants and weight-loss support compounds. When you take it as a part of a healthy diet and exercise program, green tea extract significantly increases your metabolism. 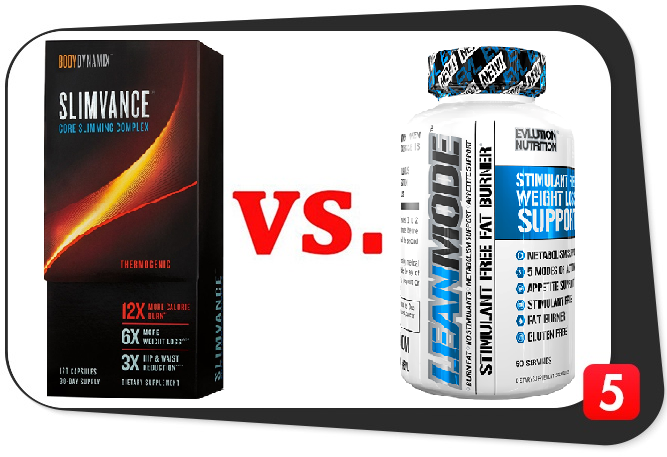 Slimvance Thermogenic vs. Leanmode: Which is the better formula? You may love the energy rush of a stimulant which determines whether or not a fat burning supplement is effective. However, don’t let this fool you: both supplements have an impressive lineup. However, it’s the proprietary blend and underdosed ingredients in Slimvance Thermogenic that take its formula down a few notches. Leanmode, on the other hand, boasts of proper dosages (two servings per day). Each of its five ingredients promotes a healthy and safe weight loss, per clinical studies. The better formula goes to Leanmode. Slimvance Thermogenic might have a paid-for study to back it up, but that is a hefty price point for only half a month of a supplement. With that same price point, you can get your hands on three bottles of Leanmode and take three servings per day for a few months! Still, if you want to give Slimvance Thermogenic a go, you can only find it on the GNC website. The company usually has BOGO offers. You’re sure to find Slimvance Thermogenic on sale every now and then. For Leanmode, you can jump on iHerb, Amazon, and Bodybuilding.com, all of whom are famous for offering weekly deals. 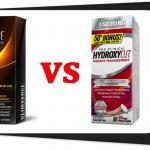 Slimvance Thermogenic vs. Leanmode: Which is Better? Slimvance Thermogenic has a few great features. For one, a clinical albeit paid-for study backs it up. CapsiMax is the leader of its fat-burning squad. Plus, caffeine is there for a much-needed energy boost. However, its high price point and hidden ingredients should make customers lose their interest fairly quickly. 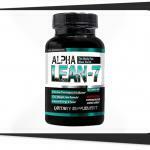 Leanmode has an equally impressive lineup of fat burners that have real studies to back them up. You know exactly how much you’re getting, and you can take Leanmode at any time of day without worrying about sleepless nights or caffeine-based anxiousness. Leanmode is a true thermogenic without the flash and show of stimulants.